Dr. Doug Gaker’s New Book “Best Fish Story Ever” is a Heartwarming Journey Filled With Virtues on Appreciating Life and Its Riveting Mysteries. 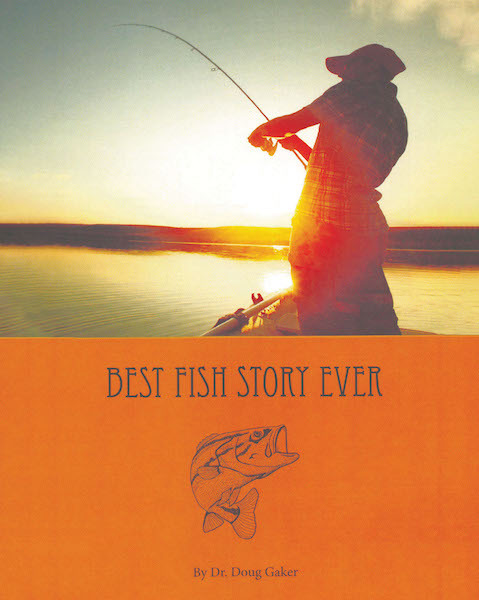 Recent release “Best Fish Story Ever” from Covenant Books author Dr. Doug Gaker is a thought-provoking narrative that delves into the purposefulness and meaning of life as told through the shared moments of an intern and his patient. Middletown, OH, October 5, 2018 – Dr. Doug Gaker, a surgeon who graduated from the University of Virginia and was trained in the UVA urology program, has completed his new book, “Best Fish Story Ever”: a defining true account of the author’s memorable life lessons realized from a very ill cancer patient. Published by Covenant Books of Murrells Inlet, South Carolina, Dr. Doug Gaker’s new book is an emotionally touching read that exudes with heartfelt perspectives and feelings of hope and joy despite life’s overwhelming sorrows. An exceptional masterpiece, this book will surely touch the hearts and minds of readers and enlightens them on understanding life as a challenging yet fulfilling adventure they must embark to fully grasp its significance. Readers can purchase “Best Fish Story Ever” at bookstores everywhere, or online at the Apple iTunes store, Amazon, or Barnes and Noble.